In our interview with Grano de Sal, a brand-new publishing house in Mexico City, we learn that the publisher is looking for edgy books, translations, and world Spanish rights. Launched late last year, Grano de Sal—as in a grain of salt—is a Mexico City-based publishing company focused on contemporary debate in politics, natural sciences, philosophy, society, and the arts for Spanish-language readers. 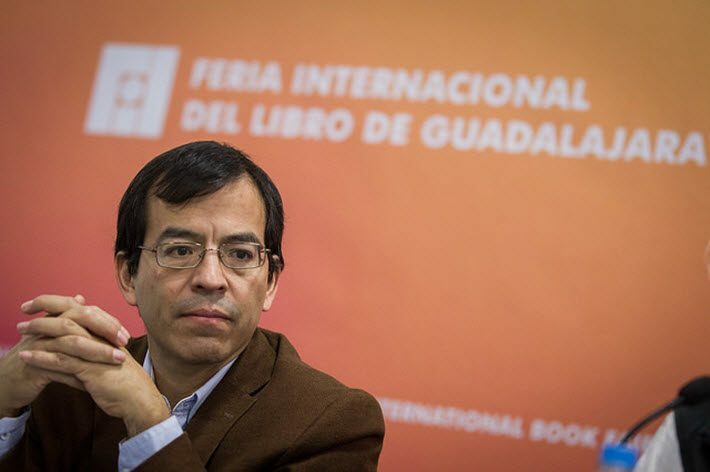 In an interview with Publishing Perspectives, Granados Salinas tells us that he has signed his first 10 books for the company’s debut on the market—with a heavy emphasis on works in translation. Here’s the publisher’s inaugural catalogue (PDF). Publishing Perspectives: Is it Grano de Sal’s intention for all the books it publishes to be works in translation? 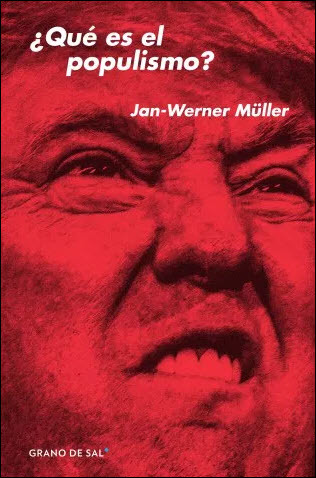 Tomás Granados Salinas: It’s our intention, yes, for them to be the first Spanish-language editions, which is the case of our books by Jan Werner-Müller and Barbara E. Mundy. PP: Has procuring the rights for the books been an obstacle? TGS: Of the 10 books we have taken on, eight have a co-publisher, and that’s our business model—to have the books bought or financed before bringing them to market. And in the face of the critical situation we’re facing with a lack of bookstores, we’re unable to live off what’s sold from the shelves. Therefore our model is prior sales. PP: It’s a model that publishers are increasingly reliant on in your market? TGS: And it has worked. Once I find a good theme, I shop around for a partner to see if the title interests them. So far, in six months of operations, we’ve taken on these 10 books. It’s a good strategy to begin with. We’re aiming to publish 10 titles per year. PP: Would you also publish a first edition Spanish-language book with a view to selling the rights? TGS: Yes, but the advantage of working in translation is that the book has already been worked on, so it’s a little less risky, even though it can be costly initially. We’re also interested in the books being visually pleasing, with attractive colors and a granular texture. And we aim to have a touch of humor in their presentation, in contrast with academic books. All of which comes right back to our goal of provoking a reaction among readers. We’re trying to be controversial. One book of ours that’s coming is La otra esclavitud by Andrés Reséndez, our first history book. It’s the story of pre-Hispanic slavery in the north of Mexico and the southern United States, the slavery of the indigenous inhabitants, which is a very harsh history. Originally published in English. 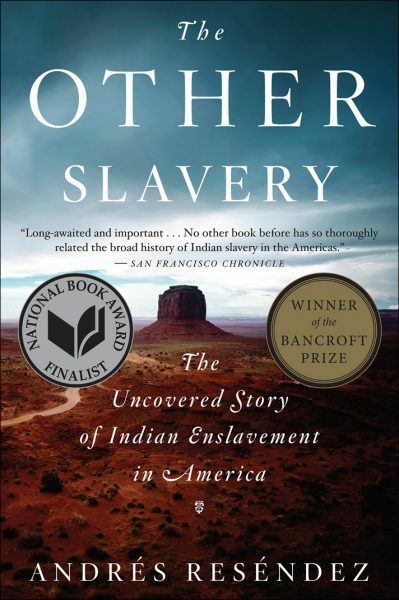 PP: Right, it was published as The Other Slavery: The Uncovered Story of Indian Enslavement in America, from Houghton Mifflin Harcourt (April 2017). The book was a finalist for the National Book Award in the States, as well as a Bancroft Prize winner. PP: Let’s talk more about the books you’re doing so our readers who work in rights sales know what you’re looking for. Did you see a gap in the Mexican and other Latin American markets for books on contentious contemporary issues in Spanish? TGS: The kinds of books we are looking for are of academic origin but aimed at the public in general. PP: As with The Other Slavery—a serious study but commercially produced by HMH. TGS: All the authors we’ve taken on so far…have the peculiarity of wanting to change something, something in the reader or within the social environment. They’re not merely books that present an idea. PP: In which Philippe van Parijs and Vannick Vanderborght argue that the government should hand every citizen a basic amount of money to combat wealth inequality. TGS: Right—that book isn’t trying to convince anyone about social change, but it’s trying to presents arguments for and against, so the reader can make his or her own judgment. And in the case of a basic income, such measures require a social change, and there needs to be a kind of cultural petri dish. That’s what the book tries to prompt. 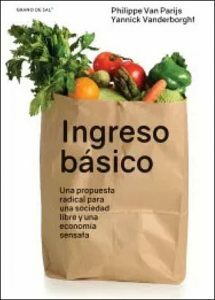 The book aims to give tools to people who want to change the world, but who know that change is difficult to implement. This book tries to identify what kind of changes can be made. The authors are trying to cause a small shift in individual perception, a change of opinion. PP: What other titles seek to provoke a change of perception and opinion? TGS: La muerte de Tenochtitlan, la vida de México, The Death of Tenochtitlan, The Life of Mexico by Barbara E. Mundy, translated by Mario Zamudio Vega and Alejandro Pérez Sáez. It’s about the ancient Aztec capital Tenochtitlan and the moment when it became Mexico City as a result of the Spanish conquest. It allows for a change in understanding: that Tenochtitlan didn’t cease to exist, rather it remained alive as part of Mexico City, and is still present there today. PP: You aim provoke a debate, then. TGS: Exactly. As with ¿Qué es el populismo? PP: What Is Populism? by Jan Werner-Müller, translated by Clara Stern Rodríguez. TGS: It looks at the fact that the term populist is used with too much flexibility. The author proposes defining who is a populist according to a certain concept, thus marking a boundary between who is and who isn’t one. And that will generate a debate. TGS: Another of our books, which might be a bit less controversial, is Arrugas en el tiempo (Wrinkles in Time), written by a Nobel Prize winner in Physics, George Smoot, with Keay Davidson and translated by Néstor Míguez and J.A. González Cofreces. In it, Smoot uses his own research to show how science can address human issues, finding solutions to multiple problems in everyday life. PP: So that’s the type of book you’re looking for. And how about your distribution? TGS: We’re going to be in the major outlets in Mexico—bookstore chains such as Gandhi, El Sótano, FCE, Porrúa, and a handful of independent bookstores in the provinces. And we’ve signed deals to distribute in Argentina and Chile. The next goal is Spain, because we have the worldwide Spanish-language rights to all the books. That was a priority strategy. All of the titles are of broad interest, especially social sciences. We have also published our titles as ebooks. I’m a great believer in ebooks, not because they’ll save us, but because we have to offer them to allow all readers to get hold of our books. PP: Have you received sponsorship from any government institutions? TGS: No, no official support, either for the editorial process or the translations, but we have some investors. We’ll join the Mexican publishing chamber this year. We’re a team of three, working from home, with low overheads, and we seek support for each book. I was very concerned about the company’s financial viability. 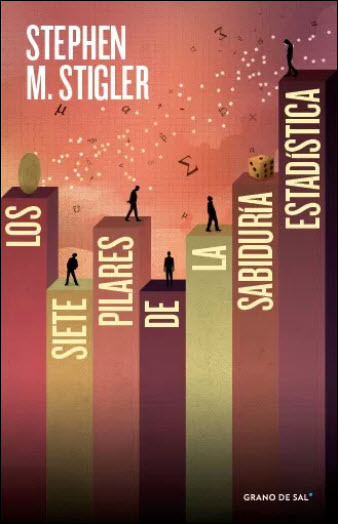 PP: What do you think about Nielsen launching BookScan in Mexico? TGS: This is a big change of paradigm. Let’s see if it works. Mexico is not a transparent country, it’s never easy to find information, either official or private, and here the source is private: booksellers. It’s a watershed moment. To learn more about the new “Pinch of Salt” in Mexico City, Grano de Sal, its Facebook page is here, and Granados Salinas tweets as @GranodeSal . Grano de Sal was launched at the Guadalajara International Book Fair, and Granados Salinas’ program there featured a presentation of ‘Ingreso básico,’ by Philippe Van Parijs and Yannick Vanderborght, translated into Spanish by Laura Lecuona and Maia F. Miret.